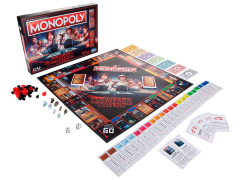 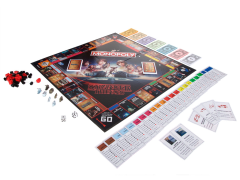 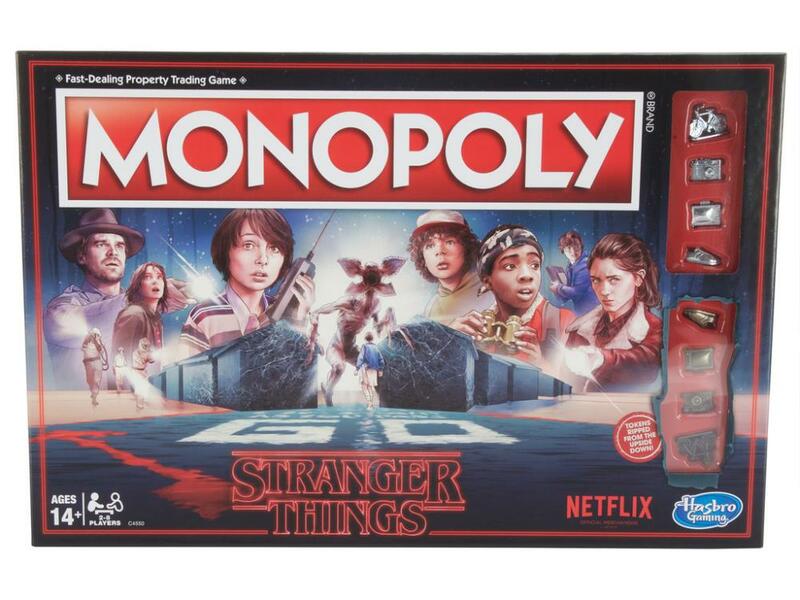 In this Monopoly game inspired by the Netflix Original Series, Stranger Things, Will Byers has gone missing. 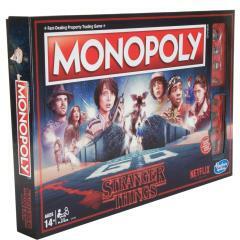 Players choose an 80s-inspired token or one "ripped from the Upside Down" to move around the board trying to find him. 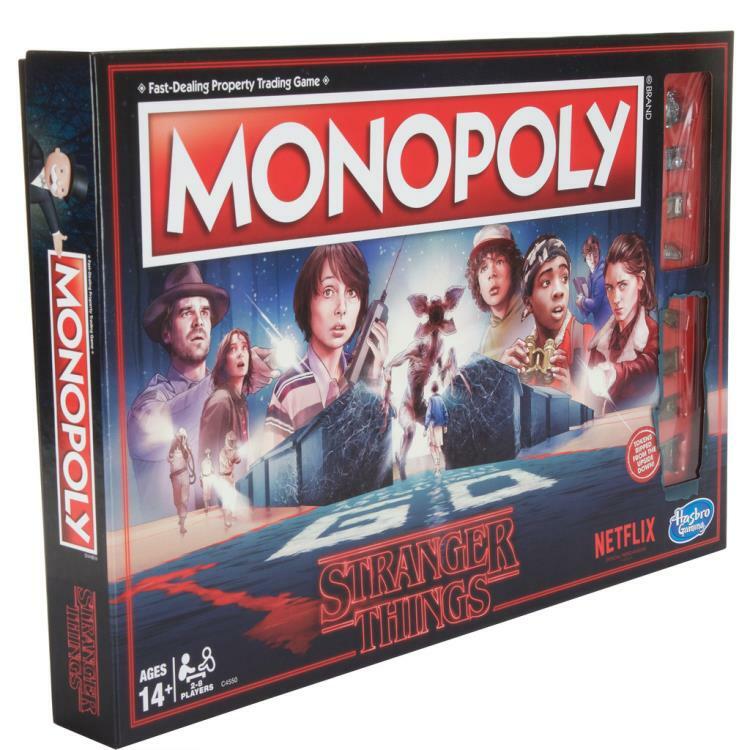 Pretend to search the town of Hawkins and buy, sell, and trade locations and vehicles from the show. 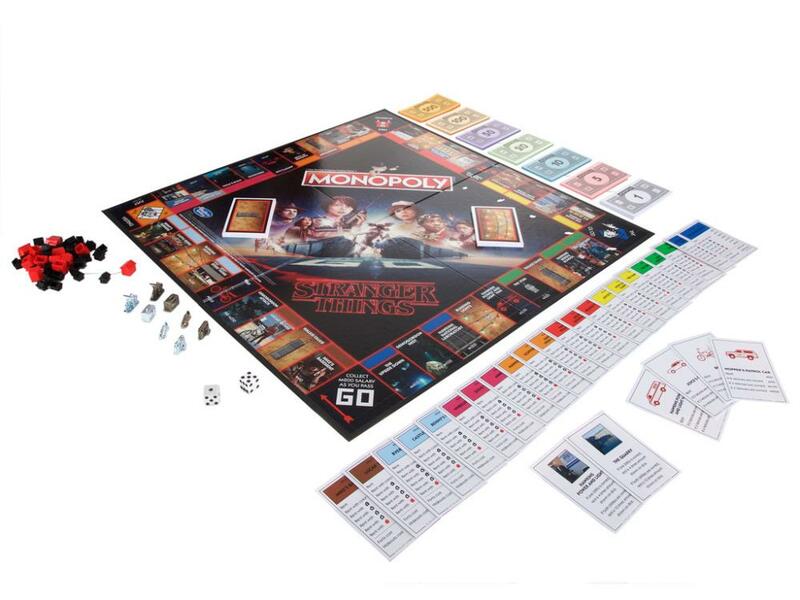 The game includes Walkie-Talkie and Blinking Lights cards, replacing Community Chest and Chance cards, while Forts and Hideouts replace houses and hotels. 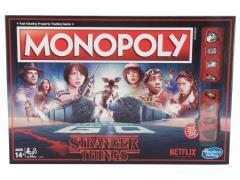 Who will win the game and avoid getting trapped in the Upside Down? 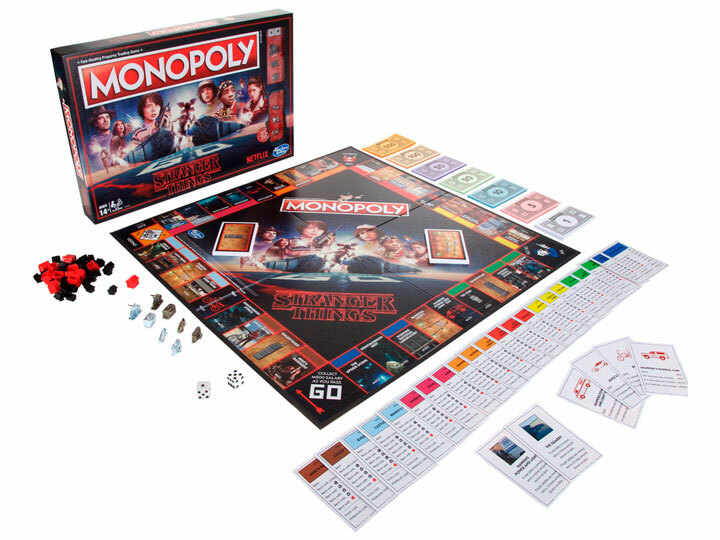 Features 80s-inspired tokens and tokens "ripped from the Upside Down"